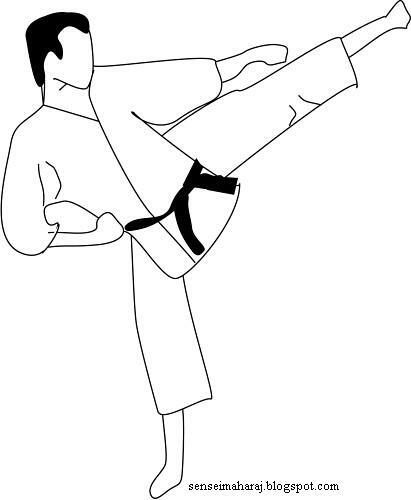 Ren geri -Double front snap kick (Front leg first) also called as "Multiple kick"
Fist of all we should know the meaning of this kick “Mae” means “Front” and “Geri” means “Kick”. So “Maegeri“ means “Front kick". 1. Get into “Gedan barai” stance. 2. Begin by bringing your back knee up and forward. 3. Once your leg is up in the air, it's time for the kick. Use the ball of your foot to aim at. This is the "Striking surface" to kick the target. 4. Immediately snap the leg forward at your target. While rolling your hips forward. 5. Then get back to the starting position. It's very important kick for the beginners. Don't neglect the proper procedure while training.Use hips and rise the knee as much possible to deliver a powerful kick. Thrust from the hips. It gives you maximum speed & impact. If the kick is proper it would be danger for your opponent. Cuz speed and power are a dangerous combo in karate (for your opponent, not for you)! Coach instructions are very important if you are novice. Tai sabaki (体捌き) is a term from Japanese martial arts and which relates to 'whole body movement', or repositioning. It can be translated as body-management. 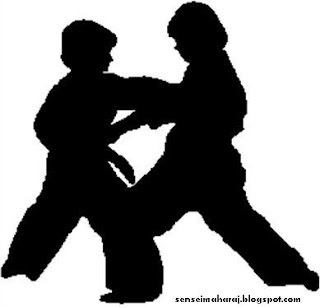 It is a term used widely in kendo, jujutsu, aikido, judo, karate and ninjutsu. 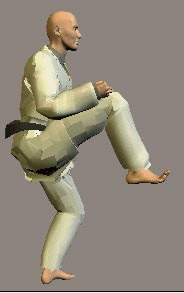 Tai sabaki is usually used to avoid an attack, such that the receiver of the attack ends up in an advantageous position and it is often wrongly referred to as evasion. An example of tai sabaki is 'moving off the line' of attack using irimi and tenkan movements rather than to 'move against' the attack. This implies the use of harmony rather than physical strength. Tai- sabaki is the core of wado karate. It refers to body manipulation so as to move the defender as well as the attacker out of harm's way. Wado has many tai- sabaki techniques. A perfect example i can show “Nagashi Tsuki”. 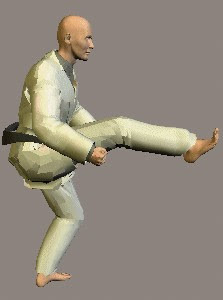 Nagashi means foot work. Tsuki means punch. I trust this is a very effective tai sabaki tactic in wado karate. In this tactic we don’t want to block our opponent’s technique. Simply move out of the way of your opponent’s attack also finish up with an explosive punch. So what you want guys more than this to win a fight? But we should practise a lot. Comparing with other karate our nagashi tsuki(fig:2) is quite good. It has the real core of wado principle ”San-mi-Ittai”. Now let me explain about this. San mi-ittai are three kinds of body shifting movement which typify Wado. “Ten-i“ - to move the position" or move away from the attack. 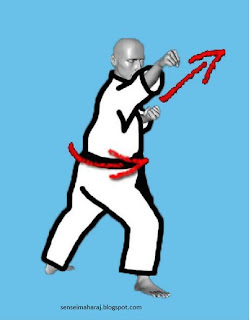 “Ten-tai”- twisting and realigning the body to change the relationship of the body to the attack and further reduce the exposed target area. “Ten-gi”- executing techniques while letting the attack pass through. We should learn the “maai”(Distance) before tai-sabaki. This is very important for kumite(Sparring). These three expressions describe three kinds of timing for attack and counterattack. 1.“Sensen no Sen” means to attack when the opponent's intent to attack is perceived, thus pre empting the opponent's attack and catching him/her off guard. 2. “Sen” means attacking simultaneously with the opponent as in nagashizuki. It implies that the 'defender' will be able to complete his attack first, and/or displace the opponent's attack. 3. “Go no Sen” means to respond to an attack with a counterattack or block/counterattack. However, the timing must be such as to strike immediately the opponent's attack is completed and before he is able to launch a further attack. Bottom line – This is very precious stuff I've ever post. And also this is very important thing for all karate practitioners so realize and use sen to practice tai-sabaki. I wish you folks to hoard many medals in the near future. Tsuki (突き?) is the Japanese word for "thrust". 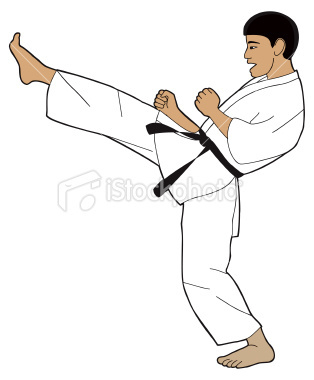 The punch is a fundamental part of the karate training syllabus and almost all forms ('kata'). My article about “Tsuki”(punch) described here make up the very core of wadokai; the powerful stances and hard hitting energy, the subtle yet significant movements. Punch can be performed in different stances, although only one is described in this article, “Zenkutsu-dachi” (Front Stance). To properly assume a front stance first begin by standing with your feet shoulder width apart with both hands resting in a fist in front of you, level with your hips. You should have your feet flat on the floor and your knees slightly bent (fig:1). This is called the 'ready position' ('Shizentai'). Then, we move into front stance. 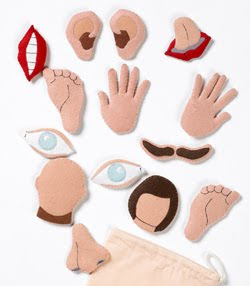 Move your left leg slightly forwards and to the center, at the same time bringing your left hand up to your ear. Then shift your weight forwards and allow the momentum to move your left leg further outwards, bending your knee and bringing your left fist down in an arc across your body, also lifting your right fist so it is now in line with your navel. Finally, extend out your left foot enough so that it just blocks your toes from view and both feet are shoulder width apart, and have your left fist immediately above your knee (Fig:3). Congratulations! 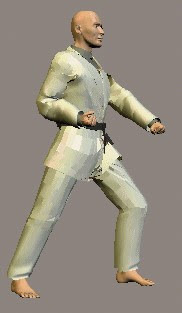 You have moved into front stance, and also performed a downward sweeping block in the process! Now for the difficult part! You have to push your weight forward onto your front knee, and at the same time begin to slide your back leg forwards. Your leading arm should be lifted to be level with your chest. The power in this punch comes from its explosiveness and its incorporation of your body's momentum and center of gravity. The process begins when both feet are together, and you shift your weight forward to create momentum. To do this, you have to first push your rear heel into the ground, sending the energy up your leg, and as you twist your hips the energy is transferred through your core and finally through your shoulders, arms and wrist when you finally place your leading leg down. You should always strive to make contact with your target at the same time as landing with your front leg, so as to maximize the transfer of energy. Contact is made with the first two knuckles (Seiken Fig:4) there you have it; you can now perform a choko-tsuki! 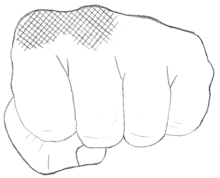 Hikite is another very important technique while punching. 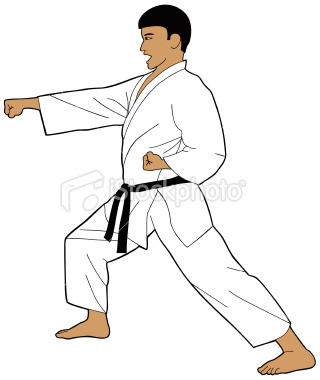 Hikite (te meaning hand, hiki or hikeru meaning drawing in) is a very common aspect of traditional martial arts, especially in karate. Whenever you see karateka performing straight punches as a group, they are sharply snapping one hand out while pulling the other hand back to the belt. The performance of the hikite itself is fairly consistent across styles at a base level. As the straight punch extends, the withdrawing hand retracts. It is chambered somewhere around the floating ribs. Depending on style you might chamber it a little lower, or even higher tucked up near the armpit. Targets : Face ,solar plexus & abdomen. Bottom line: Use your hips, shoulders & wrist in a proper way to deliver an explosive punch.